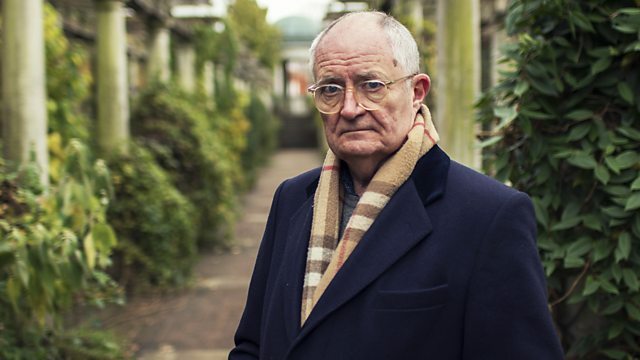 Jim Broadbent presents an appeal on behalf of Dementia UK. The charity provides specialist dementia support for families through their Admiral Nurse service. Browse content similar to Dementia UK. Check below for episodes and series from the same categories and more! My favourite memory of my mum goes back to her competitive spirit. She used to love her swimming. She won medals when she was a teenager. I met Gordon when I was 16. We used to dance the night away. We just had a good time. My first memory of my dad is going to the football, Huddersfield Town. He took me when I was three years old and we've been going ever since. Our memories are precious. They're the essence of who we are. happiness into the present by recalling the past. But what if they were taken away from us or from the ones we love? This is me with my mother Dee. Dee lived with dementia for about four years. witnessing her deteriorating week by week, month by month. She died in 1995, aged 81.
and their families through this very difficult journey. Mum's always been a strong character. I took over that role in her life. I started to notice the changes when Mum was about 83. She was struggling with figures and struggling with bills. because her working life revolved around money, figures and numbers. I had to take the electric kettle away. and then stick the electric kettle on the gas hob. dangerous things that were a real threat to her health and safety. Richard's mum was diagnosed with dementia in 2008. "you do realise this is going to kill your mum, don't you?" I don't think I said anything. It brought it home to me. trying to deal with the dementia. "actually, Richard, it's not your mum I'm worried about, it's you." who are facing dementia alone. That's all right, now take your time. and confidence they need to continue when things are really tough. Hello, my mum! How are you? "that she's not at risk." I'm the only person in the world that Mum recognises now. She looks forward to me coming in. It's what gives meaning to her life. from the charity's helpline and demand is growing year-on-year. and her role involves supporting families face-to-face. Main role of an Admiral Nurse is to support the family carer. working with families and supporting somebody living with dementia. we're doing because we often see people in the most vulnerable times. Katie has supported families across West Yorkshire. One such couple is Gordon and his wife Agnes. he was diagnosed with dementia. He was a very quiet person. He's always been an Elvis Presley fan, had a quiff like Elvis. and that's why it's been so hard to let go. it does give me mum that extra break that she needs. She then doesn't have to worry about me dad. and that pleases me because he has still got a bit of a life. He's not the man I married, definitely not. His behaviour at times was so unpredictable. she's had to stop her life to look after me dad. I've got to see him go to the toilet. He doesn't know what's what. When he went missing was the worst night of my life. A night I don't ever really want to go through again. We all thought he weren't coming back. I won't have us a husband any more. He were found 14 hours later. when I've sat in here crying. There's been a lot of tears, really. Dementia UK has been a lifeline for the family. emotional support to help Agnes and the family cope with the situation. Katie's my angel, the Admiral Nurse. what's happened from one visit to the next visit. And that was difficult for you to manage? And she'll advise me, calming me down. You know what they say, you marry them for better or for worse. We've been down there but Katie's lifted me up now. and how well a charity like Dementia UK can help. when a loved one gets dementia. like the ones provided by the charity, should have access to one. and on the Admiral Nurse Dementia Helpline, we need your help. and the whole £10 goes to Dementia UK. writing Dementia UK on the back of the envelope. Jim Broadbent presents an appeal on behalf of Dementia UK. The charity provides specialist dementia support for families through their Admiral Nurse service, giving one-to-one support and expert guidance, and helping them cope when things get hard.